You have seen him on the hit TV show Phenomenon; now see him live in Las Vegas! Gerry McCambridge stars in “The Mentalist." McCambridge was nominated “Best Magician in Las Vegas” and recently voted “Worlds Best Entertainer” in his field. 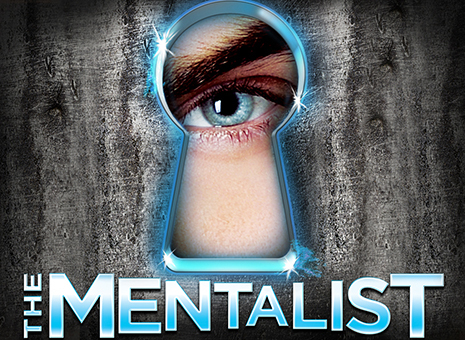 Now is your chance to see the incredible magic, mindreading and comedy of The Mentalist. The Mentalist takes the audience on a wild ride through their own minds and the minds of others with tons of audience interaction. Gerry McCambridge is able to pull random information from everyone’s head including their addresses, names of pets and even their birthdays. In between the mindreading Gerry performs some mind-blowing magic that will leave you scratching your head and wondering, “How did he do that?” This show is perfect for all ages. You can watch the show or be part of the action. It is totally up to you. Gerry McCambridge performs comedy, magic and mind-reading live on state. Access Hollywood calls it "amazing!" Gerry thrills audiences with his ability to get inside the minds of others.You won't believe it until you see him LIVE.